A few days after arrival, it appears Sturgeon Heights, hailing from Winnipeg, have become accustomed to Vancouver’s “balmy” conditions as they come out of the gates with some hot shooting. The Pipers have picked up their energy level late in the first to get within 3. Both teams have kept the pressure on defensively which has led to multiple turnovers. The Sturgeon Huskies ran away at the end of the first quarter, ending it with a 10 point lead. The Huskies have shown a feisty approach to their D, which has made it difficult for the Pipers to get comfortable in their half-court sets. If the start of this game is a sign of things to come, Argyle is going to have to start knocking down a few long balls to keep themselves in this game. Both teams are looking to finish this tournament with a W; we have seen multiple girls diving on the floor for loose balls and showing a no quit attitude. At the end of the first half the Huskies are up 36-29. A strong start for the Pipers has them up by 2, 40-38 halfway through the third quarter. This 15-2 run for the Pipers has shown the potential this group of girls has as we are just at the beginning of the 2017-2018 season. Although, the Huskies did not travel all the way from Winnipeg to let the Pipers walk away with an easy W. Not to mention, the Sturgeon Heights boys team is up in the Collingwood press box cheering hard for the girls and patiently waiting for dinner time. At the end of 3, Argyle is up 50-48. After a slow start to the fourth quarter, the Pipers have gained some momentum with a bucket down-low and a three to increase their lead to 8 with less than 5 minutes to go. The back-and-forth nature of this game makes you think this may come down to the wire. A timeout called by the Huskies’ coach with 3:20 to go in the game, down by 5, shows this team is not ready to jump on a plane and head home quite yet. A clutch bank jumper by Argyle with just over a minute left in the game gives the Pipers a 7 point lead - banks apparently stay open late in the British Properties, even on a Saturday. 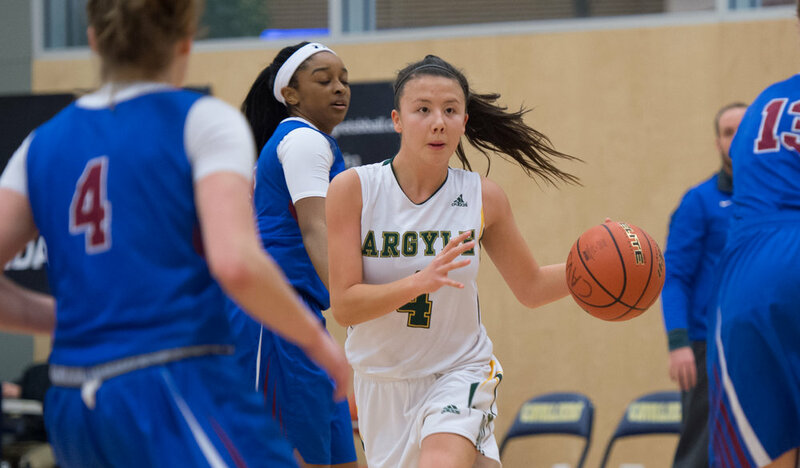 A great effort for both teams ends with Argyle taking the victory - final score Argyle: 64 - Sturgeon Heights: 56.